My four daughters and myself just love Adventure Time cartoon series. 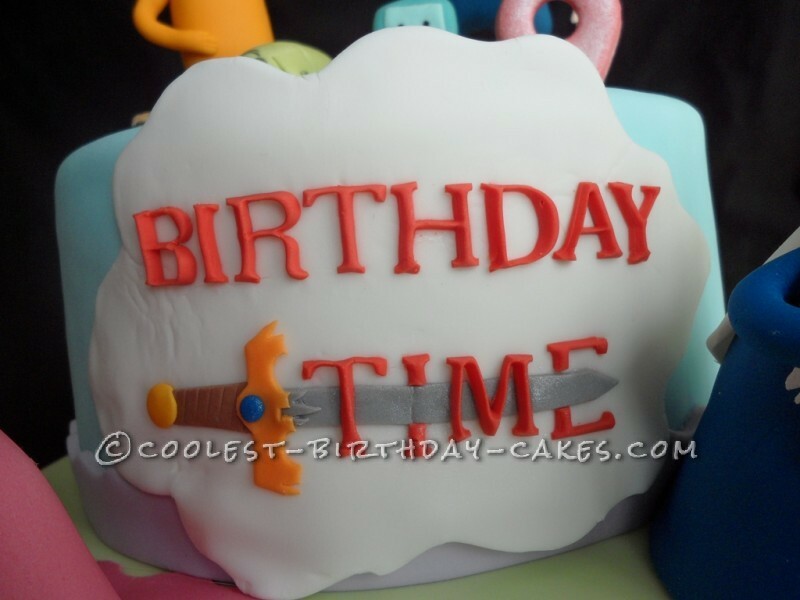 So, my eldest daughter requested an Adventure Time cake for her 9th birthday and I was more than happy to do it for her. I started making most of the character figurines a couple of days before her birthday. BMO, Peppermint Butler, Gunter, apple pie, apples and little flowers (with my assistance) were made by the birthday girl and her younger sister. I thought it was very cool that they had an input in this cake. All the figurines are made of gum paste. The cake itself was made of moist vanilla cake as it’s my daughter’s favorite and Italian meringue butter cream (which I made for the first time) for the frosting. It’s a two-tier round cake (9″ and 6″) and covered with fondant. 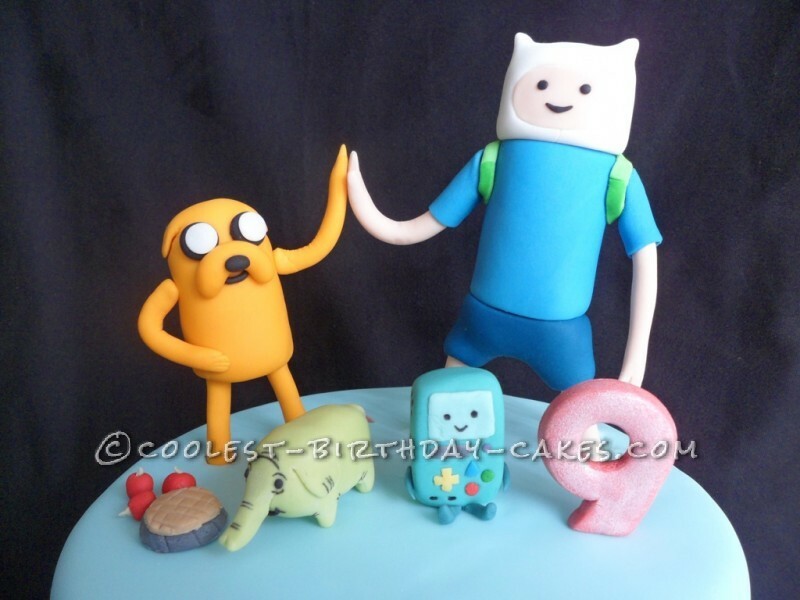 We just had a little problem with Finn figurine as he’s a bit heavy and his feet sunk a couple of centimeters into the cake. So, I had to take his back pack off and put a wooden dowel support on his back. My daughters and I had so much fun making this cake. 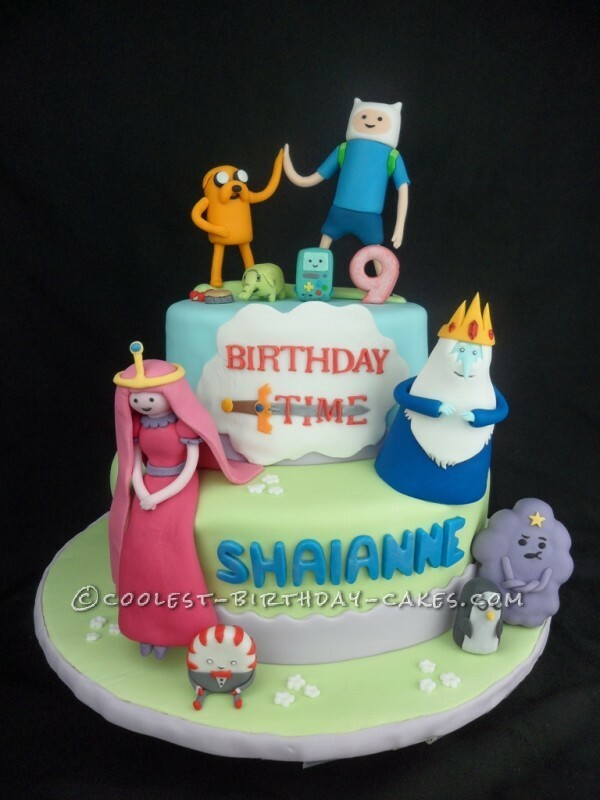 Family and friends were thrilled with our creation inspired by Adventure Time and we would like to share it to all.